The city taskforce studying nightlife regulation reform is aware of many of the system's shortcomings, as well as potential remedies. But does it have buy-in from the cops? Gigs in unconventional venues have been difficult to acquire permits for. After the Ghost Ship fire last December, Oakland Mayor Libby Schaaf ordered the creation of a special-event permit redesign task force in order to identify barriers to compliance with the city's live music regulations. The group's recently released survey, which is being distributed via email and is available to the public, shows a detailed understanding of the problems, but doubts remain that it will address persistent complaints about the Oakland Police Department's role in overseeing nightlife. After the tragic fire, which claimed 36 lives at an underground electronic music event, discussions resurfaced about the difficulties of acquiring permits for gigs in unconventional venues, which in turn resumed talk of existing rules being unequally enforced by officers in the police department's Special Events Unit — namely, that some arduous and expensive regulatory burdens seem reserved for local rappers and rap promoters. The task force is composed of staff from the mayor's office as well as the city's fire, police, and cultural affairs departments. Earlier this year it conducted a "listening session" with local venue operators, but the task force conspicuously lacks any members of the impacted nightlife community, such as promoters, artists, and operators of arts spaces. And some entertainment advocates are frustrated that, nearly eight months after Schaaf's executive order, the group has produced little more than the survey released last Tuesday. Still, the survey, which is completely anonymous, shows that the task force recognizes many of the current system's shortcomings, as well as potential remedies. The survey's 38 questions explore the factors that discourage prospective permit-seekers — such as cost, confusion, and bureaucracy— and suggest fixes such as consolidating the process in a "one-stop shop" online. 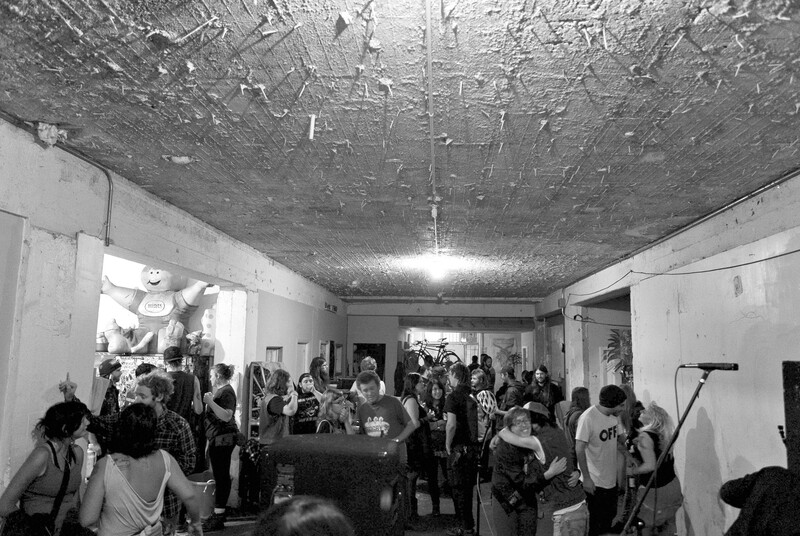 Certain features of the text — for example, the use of the acronym NOTAFLOF, which stands for "no one turned away for lack of funds" and often appears on underground show flyers — show the task force incorporated feedback from arts activists, such as Jonah Strauss of the Oakland Warehouse Coalition. Strauss, in an OWC statement, encouraged people to take the survey while conceding that special events reform requires a "seismic shift." Acknowledging the police department's role in nightlife oversight, which has prompted allegations of discrimination and censorship against rap promoters, OWC's statement also calls for "total removal of OPD from the special events permitting process." Survey-takers assess some specific proposals, such as creating a public list of spaces approved for events and "[amending] the planning code to permit events as an accessory use in commercial spaces with other primary uses." David Keenan, of Safer DIY Spaces and a parallel post-fire task force focused on building code, says the latter idea would protect unconventional venues that currently inhabit a regulatory gray area. "They're trying to promote the notion that you can have assembly in commercial spaces," Keenan told the Express. "That's good because if the city wants to give a DIY venue a hard time, right now they might say the primary use is cabaret, triggering a change-of-use." And the upgrades required following a change-of-use, as the operators of closed nonprofit arts space 21 Grand found, usually cost more than scrappy venues can muster (see "Critics Say Oakland's Entertainment Process Too Arduous, Contributes to Unsafe Spaces Like Ghost Ship," 1/17/17). City code currently specifies that even venues licensed for regular cabaret activity must acquire special-event permits, which are issued by the Oakland Police Department's Special Events Unit, when working with outside promoters. But an Express investigation this year found that the provision is enforced disproportionately against rap promoters, who say that the department then adds exorbitant security fees and even edits lineups. Popular local artists such as Philthy Rich have had so many officer-involved cancellations that they figure they're outright banned from playing in Oakland (see "Blacklisted: How the Oakland Police Department Discriminates Against Rappers and Music Venues," 4/26/17). Greg Minor, a member of the special-event permit task force who also oversees cabaret permitting as the assistant to the city administrator, likens the problem to his race-and-equity analysis of the city's cannabis rules. "There's a lot of ambiguity, which gives law enforcement more discretion, and that leads to more disparate outcomes," he said. "So I think we have an opportunity to come up with less subjective, less discretionary rules that will avoid those disparate outcomes." Asked what to expect next, Minor said the task force plans to conduct more "targeted outreach" to the local music community. He also noted, "Administrative changes can happen faster than legislative ones." So does the task force have buy-in from the police department's Special Events Unit? Sgt. Andy McNeil of SEU, who's a member of the special-event permit task force, declined to discuss nightlife regulation with the Express, and forwarded an interview request to department Public Information Officer Johnna Watson. In response to emailed questions about the police department's involvement in the task force, Watson referenced the Express' earlier story about allegations of police censorship and discrimination against local rappers, and wrote, "it seems this topic has been discussed." In a later email, however, Watson wrote that McNeil's group is "trying to streamline the process," adding that "all [special-event permit] applications are reviewed in fair manner with the emphasis on safety." Artists, promoters, and civil-rights advocates say police policy bans artists and levies huge security fees on rap venues. After Ghost Ship, a renewed call to reform Oakland events permitting. San Francisco’s Entertainment Commission wants to help.